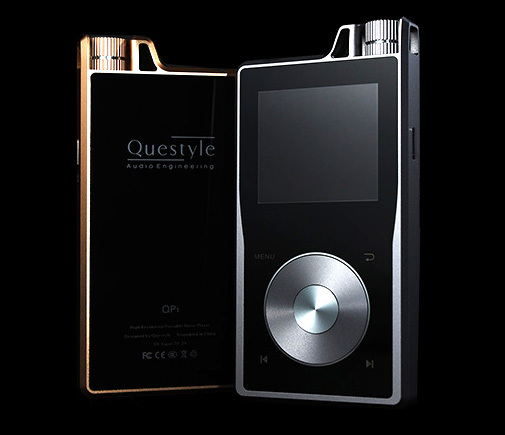 Questyle Audio is dedicated to the design and manufacture of high resolution music player for portable and car use, and State of the Art audio equipment for studio monitoring and top-tier players, as well as wireless audio for home and customized installation. Questyle Audio products range covers: High Resolution Portable Music Players (DAPs), Current Mode Headphone Amplifiers, True DSD DACs, High Resolution Multi-channel Wireless Audio Systems, etc. An Impressive arc body with a twin steering wheel design, supporting DSD128 & 24/192kHz PCM files, pure class A, discrete transistors and components, headphone amplifier, incorporating Questyle Audio's patented "Current Mode Amplification" to ensure warm and powerful sound, which makes the QP1 masterpieces of portable DAPs. A machined aluminum body is merged with a Gorilla glass front and back, reducing weight while increasing durability and providing a better environment for EMI sensitive circuits. The innovative continuous whole surface design, the hollow guard, the curved glass machining, the assembly of superimposed surfaces of glass and aluminum composite materials, the CNC machining and assembly to a severe test of specification, all of which are combine to make a beautiful and stylish enclosure. The Questyle Audio QP1Rs support ALAC, APE, FLAC, AIFF, WAV, WMA Lossless up to 24bit/192kHz and high-Res audio files such as DSD128 and DSD64. Playback reveals a far closer reproduction of the original performance than that of any MP3 players or smart mobile phones available today. As a Hi-End portable DAP, it needs to handle the audio files, which are as high level as the studio recording, at very low power consumption. - Patented "Current Mode Amplification" in headphone AMP, all discrete components, Pure Class A circuit. Presenting the Questyle Audio CMA800P, commissioned by STAX, to bring out the full potential of their Flagship SR-009 electrostatic ear speaker system. All hand made in Japan, and only available on a custom order basis, the pinnacle of the STAX line, the SR-009 provides sound with a natural clarity and exquisite detail demanded by the most discerning of audiophiles, but to bring out their full dynamics, to provide unprecedented deep, articulate and controlled bass, to remove that last bit of haze in the treble, a pre-amp was needed, and STAX felt that only Questyle Audio, had the technological expertise, and the auditory finesse to build it. May 14th 2015, at the Munich High-end show, Germany, Questyle Audio officially announce the birth of their new family member — The CMA800P, a “Current Mode Amplification” Pre-amplifier. 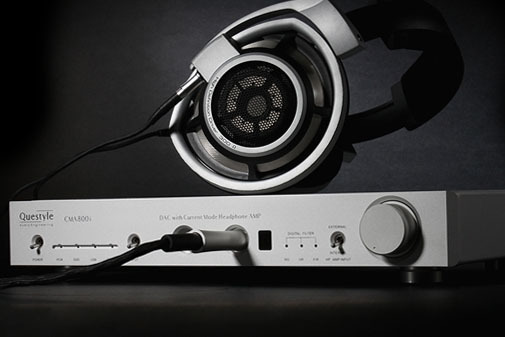 In its name, the 800 represents the top tier of Questyle Audio’s Hi-end headphone based systems, while P represents “Pre-Amp”. Thus from very beginning the Questyle Audio CMA800P is defined as a purified Hi-end piece, specifically tuned to the STAX SR-009 system, to dig out the electrostatic headphone system’s full potential. Not able to attend themselves, STAX provided an SR-009 system to be displayed with the Questyle Audio CMA800P at the product launch, showing their absolute support of the Questyle Audio CMA800P / STAX SR-009 combination. Questyle Audio’s outstanding "Current Mode Amplification" technology (subject to a PCT patent held by and the core technology designed and developed by, Questyle Audio CEO and founder Wang Fengshuo) provides the airiness and musicality of a tube amp while maintaining the speed and accuracy of transistors. In current mode amplification, the signal is amplified by modulating current instead of voltage. It is widely applied in the high speed communication industry and the video processing industry, but it is Questyle Audio’s patented technology as applied to headphone amplifiers. 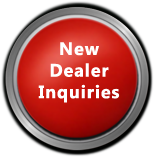 Why We Choose Current Mode Amplification? Low distortion and wide bandwidth are the goals of all high performance amplifiers. Only with ultra wide bandwidth and high speed processing can an amplifier wonderfully process sudden pulse wave signals, and achieve realistic playback of music signal with speed and transparency. When the component is working in Current mode, the amplifier Slew Rate (SR) achieves a linear increase as input signal amplitude increases, in direct proportion to the input signal amplitude. When receiving a high amplitude signal, a “Current Mode” amplifier’s SR is much faster than traditional Voltage mode devices, totally eliminating TIMD and ensuring a high amplitude signal with an extremely wide linear bandwidth and an almost distortion free realistic playback. The Questyle Audio CAS192D, the first DAC equal to the performance of Questyle’s Current Mode Amplification, is now the world’s first DAC to support True DSD. Unlike other DACs that claim DSD support, yet in actuality provide DoP (DSD over PCM), the Questyle Audio CAS192D accepts the DSD bit-stream directly from your computer, bypassing your computer’s audio processing and digital volume control as well as the Questyle Audio CAS192D’s digital filters, providing True DSD. No more expensive, difficult to install proprietary connectors, or as is the case with DoP breaking up the bit-stream into 16bit packets and compressing them into a PCM data-stream and then uncompressing them at the other end, buffering them, then reassembling the bit-stream so that it may be sent to the DAC as DSD. All requiring an extreme amount of processing at both the computer end and the DAC end to perform in real time (which invariably leads to latency, data loss, etc), not to mention a 33% increase in bandwidth requirements for the USB ports and cabling. Currently the majority of DACs use FIR (finite impulse response) digital filters, but research and testing has shown that our ears are very sensitive to the pre-ring that FIR digital filters add to the impulse wave, making the music sound incoherent and unnatural. The Questyle Audio CAS192D offers the advanced IIR digital filter, which completely eliminates the pre-ring from the impulse wave producing a more natural sound. During every second of music, there are hundreds of thousands of time operations. Any micro errors will distort the sound. In the Questyle Audio CAS192D, a 3X clock USB asynchronous transmission structure ensures a more accurate operation. To obtain first class sound performance, three correspondence level clocks (custom made in Japan), individually control multiples of 44.1kHz, multiples of 48kHz and USB signal transmission, dedicated for USB asynchronous transmission, reduceing Jitter to undetectable levels. A three-clock integrated circuit with FIFO asynchronous architecture and three voltage-stabilized power stages ensure accurate sound. 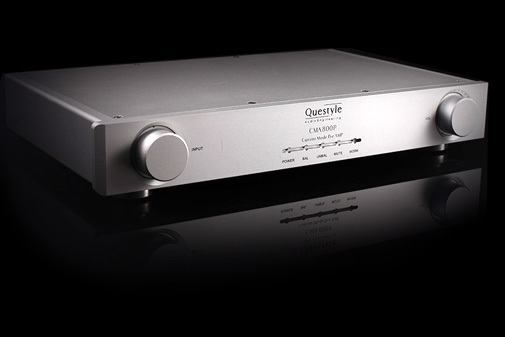 The Questyle Audio CMA800i DAC with Headphone Amplifier - An outstanding all-in-one device with no-compromise. The Questyle Audio CMA800i headphone amplifier section follows Questyle’s patented "Current Mode Amplification" design used in their flagship headphone amplifier, the Questyle Audio CMA800R, in fact, most of the components used are the same. The ultra low 0.00026% distortion, ultra wide bandwidth, up to 850kHz (+0, -3dB), and super-current pure Class A architecture enables the Questyle Audio CMA800i’s amplification to be unparalleled among all-in-one DAC/amplifiers. 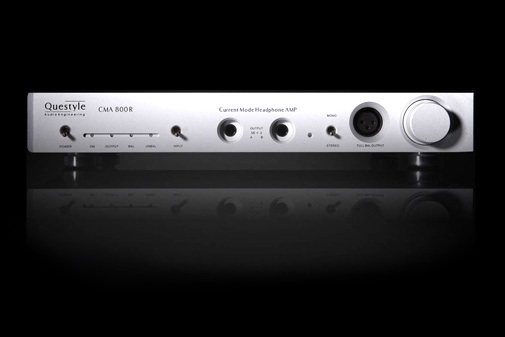 Like the CAS192D, he Questyle Audio CMA800i accepts the DSD bit-stream directly from your computer, bypassing your computer’s audio processing and digital volume control as well as the Questyle Audio CMA800i’s digital filters, to provide True DSD. CMA600i inherits Questyle Audio flagship headphone amplifier patent "Current Mode Amplification" technology, adopts all discrete circuit design, working in pure class A status. Thus it can provide best sound required ultra-low distrotion (0.00042%) and DC-600kHz (+0,-3dB) untra-wide frequency. Plus the high quality sound performance, CMA600i is capable to challenge world class Hi-end headphone amplifiers. CMA600i is equipped with 4-pin full balanced output and dual 6.35mm standard headphone jacks for a fully balanced output design. When the 4-pin full balanced output is working to drive a headphone, there are 4 groups of pure Class A and Current Mode amplification circuits output double voltage, and bringing quadruple power, so it can easily drive any high impedance headphones. CMA600i selects AKM AK4490 as DAC chips. CMA600i is specially designed with a +/-7V ultra high voltage power regulator to independently provide power for AK4490, providing an massive dynamic range. CMA600i USB input supports PCM 44.1k-384k /16-32bit signal, and True DSD64, DSD128, DSD256, DoP (DSD over PCM)64, DoP128 converting. It also supports 192kHz/24bit optical and SPDIF inputs. CMA600i also inherits Questyle patented "True DSD converting" technology. World class sound should not be limited by wires according to Questyle and they have come up with the first, Hi-end 5GHz Wireless Audio System. A completely new stage of evolution for wireless audio, Questyle Audio's worldwide PCT patented, 5GHz Wireless Audio System offers the most stable wireless transmission, achievable for a HiFi system. The Questyle Audio T2 Wireless Transmitter/Controller receives digital signal through USB, coaxial, and optical inputs, as well as, analogue signal through RCA inputs (which is converted to digital via a dedicated ADC circuit). User friendly design with intuitive plug and play operation that will run as soon as you plug in the power cord, no need for any complex setup procedure. The wireless transmission supports high resolution, 24bit communication, which employs a FIFO cache and digital PL technology, reducing jitter to undetectable levels. The Questyle Audio 5GHz Wireless Audio System also supports multiple receiver applications, allowing one transmitter to connect with up to 8 receivers. 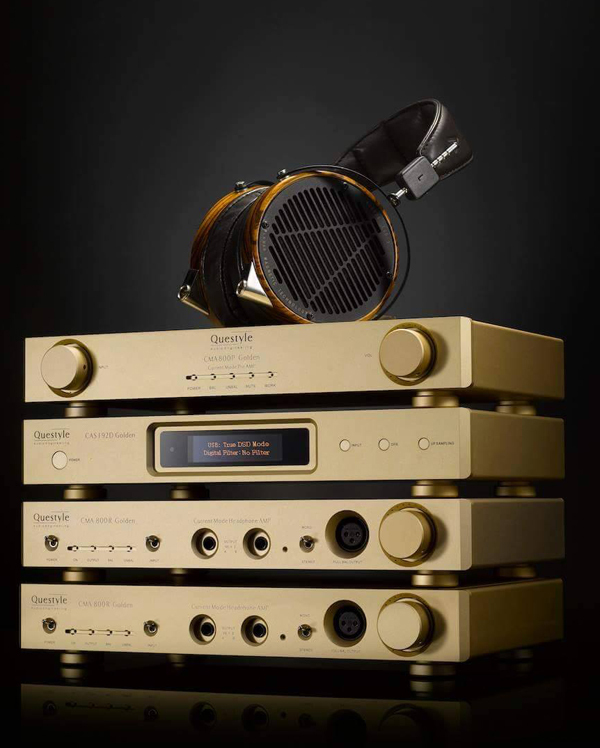 The Golden Reference system is a stack of Questyle's top of the line components including the CAS192D, CMA800P and 2 CMA800RS. There is more to the reference system than just the gold finish. Each model takes the basic circuit design of its standard issue model, and replaces the standard components with hand-picked components, and swaps out the standard circuit board for a custom thick film ceramic PCB made by Roberts. Having two CMA800R amplifiers running dual mono mode, the system performance is unrivalled. A laser-focused center image provides an extremely precise depth across a huge soundscape. With current mode amplification of the CMA800Rs, "True DSD" of the CAS192D and its Wolfson flagship WM8741 chip, plus the convenience of a very transparent CM800P, the system is unmatched.